Source: Hogarth Books – I received this book from the Blogging for Books program in exchange for this review. The Room is one of those books that feels like it should be in a school curriculum somewhere. It’s a bit bizarre and even though the plot is fairly shallow there is still plenty to discuss and analyze. Bjorn has just gotten a job at the Authority and has plans to become the best worker there. He’s incredibly compulsive and efficient in his work, but his personality is bizarre. I wouldn’t say he’s a likable character, though I will say I was quite invested in his mental stability which I questioned the whole time. 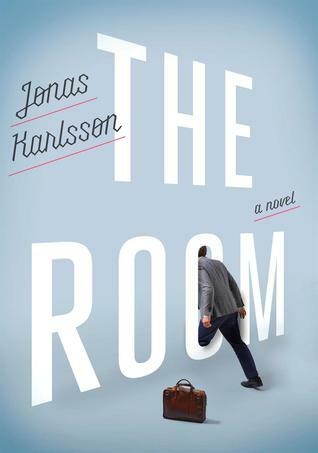 While at the office he finds a room, or The Room to be precise, and it begins a very odd and addicting tale of Bjorn’s obsession with it. He finds The Room to be a calming place, but his co-workers hate the idea of it and find it unsettling. I love that the setting is in a bland corporate workplace that is easily relatable to anyone who has had a similar job. It kind of comes off as a satire of how bland and repetitive it can be. It also works on a few other levels as well. On one hand it could very well be about how people handle individuality in such a stark environment, or how they respond to possible mental illness. On the other it also works as a psychological thriller of sorts as we watch Bjorn’s obsession grow and question if his sanity is at stake (or if it’s everyone else’s). Bjorn is a rather hard to like character and his reactions to normal everyday things come off as very rigid and incomprehensible, leading me to believe he could have some sort of mental illness. He also has an ego problem, which he sees as a blatant truth and not arrogance. And since the story is told from his point of view we also get a very unreliable narration of events. We don’t know who is telling the truth in the end, because Bjorn looks at the world in a completely different way. I’m so happy I took the time to request this one. I find that even in it’s simplicity this book has a bit of genius in it. I would definitely recommend it to someone who has a quirky sense of humor and doesn’t mind a more existential read. I’ve also heard that it is comparable to Kafka, which I’ve yet to read, so if you’re a fan of books like The Metamorphosis than by all means find a copy! Image | This entry was posted in Book Reviews (2015) and tagged 4 stars, literary, magical realism, review. Bookmark the permalink. Ah, yes, I love quirky. This does sound … odd. In a good way.